Having only needing to cook for 1 to 2 people each day since moving into my own place, I had yet to discover how magical the humble slow cooker can be; until I made this recipe! 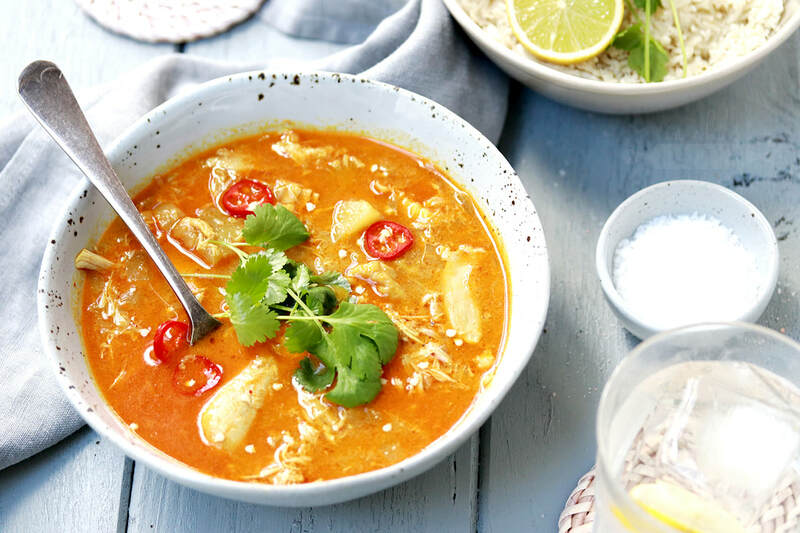 Thai curry is one of my favourite meals, especially during the colder months of the year, and when you have a great pre-made paste accessible it is an incredibly easy dish to make for the whole family. ​Not only that, using a cheaper cut such as chicken Marylands makes this recipe very affordable; the chicken that I purchased comes in at $1 per serve, which is amazing! You have to give this recipe a try, and remember that you have the ability to control the spice levels by adding (or not) paste and chilli flakes to your tastes. Enjoy! In a large slow cooker, stir together the onion, potatoes, garlic and curry paste. Pour in the coconut milk, and stir until well combined. Carefully submerge the chicken pieces in the curry mixture, and cover the slow cooker with a lid. Turn onto high or auto, and cook for 7-8 hours or until the chicken is just falling off the bone. Remove the chicken pieces carefully from the curry and place onto a board. Strip the chicken meat from the bones and return to the curry, discarding the bones. Season the curry with fish sauce, lime, sugar and chilli (adding more to your tastes if necessary) and stir through the spinach if applicable. Serve the curry with fresh lime and coriander, alongside coconut or jasmine rice.